Realistically, though, our clients are often just as busy as we are. And while do-what-I-say-not-what-I-do may work well in confessional memoirs, it’s not effective for empowering clients. 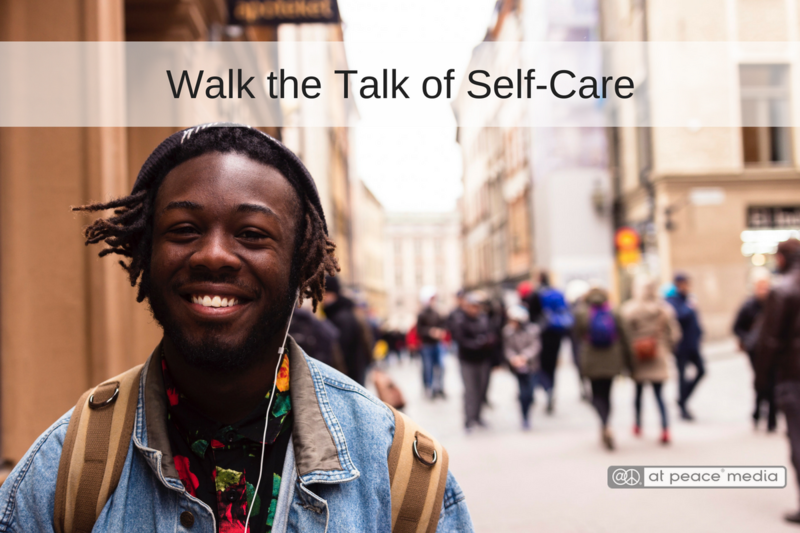 To get started, here are a few simple ways you can practice self-care. ● Take a digital sabbatical and be present with your family and friends. Turn off your phone, laptop, even the television, and spend time fully present with the people you love. Play cards, share a meal, tell ghost stories around a bonfire, make some memories without trying to record them. ● Play tourist in your own town. Rekindle the wonder that comes from being around the unfamiliar. Visit that museum you’ve never been to, take a walking tour of historical homes, or eat at that restaurant the papers are always talking about. Free yourself from the everyday. ● Make those appointments you’ve been putting off. No, it’s not glamorous, but if it’s been years since you’ve had a checkup, had your teeth cleaned, or updated your glasses prescription, it can feel amazing to finally take charge of your health and get those nagging concerns out of your brain. ● Get a massage. (Especially if you are a massage therapist.) It’s an amazing way to reconnect with your own physical body in a way that doesn’t feel like yet another responsibility that needs to be tacked on to your to-do list. Let someone else care for you for a while. ● Surround yourself with nature. The Japanese practice of shinrin-yoku, or “forest bathing” means taking a walk in a natural environment without worrying about speed or efficiency, just taking in nature with all your senses. Can’t get away to the woods, desert, or seaside? Even a pocket park or local garden can help. ● Go for a workout. While not every form of exercise is exciting to every person, there are lots of different methods for sweating out stress. A run sounds like torture? Maybe swing dancing or rock climbing feels more fun. Bad knees? Swimming or tai chi might be up your alley. Hate the heat? The local ice rink is calling. ● Take a nap. Don’t let that toddler tell you otherwise, afternoon naps can be glorious. If you’ve been depriving yourself of sleep, this can be one of the best acts of self-care you can offer yourself.